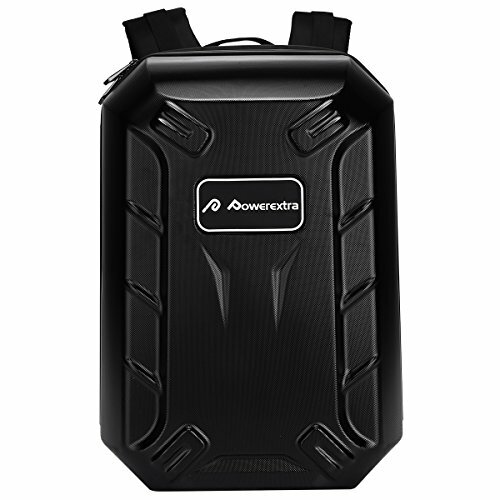 Powerextra is a famous trademark who specializes in offering digital camera batteries and photo accessories on Amazon. We always try our best to make sure customers have a happy shopping experience with us by providing good quality products with pretty price. Fit for DJI Phantom 4, Phantom 3 Professional, Advanced, Standard, 4K Quadcopter Drone and Accessories such as battery, charger, remote control, propellers. Backpack bag carrying case for DJI Phantom 4 Quadcopter and Phantom 3 Professional, Advanced, Standard, 4K Quadcopter Drone and Accessories such as battery, charger, remote control, propellers. Hardshell case and double EVA protective, give your phantom the best protection and enjoy yourself. Carry as luggage on the plane when travel by air. Fit in the overhead bin of an aircraft.